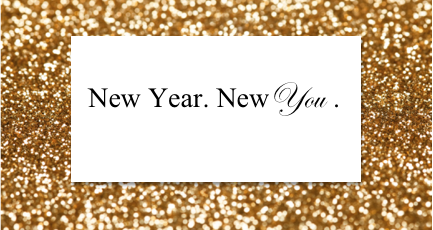 2017 – New You. New Estate Plan. A new year typically brings change for us Americans. Some of it is intentional change and likely part of our “New Year’s Resolutions.” Other changes tend to be natural life changes such as birth of a child, a marriage, perhaps a divorce, an inheritance or even the death of a loved one. It’s because of these changes that your estate plan should be reviewed every three to five years. Your estate plan should continue to accomplish whatever your goals may be. Divorce/Remarriage: If you are recently divorced then it is a good idea to schedule time to meet with your attorney to review your documents. Not doing so could result in your ex-spouse receiving assets at your death, making important healthcare decisions for you while you are ill or recovering in a hospital or it could mean that they will have access to your financial accounts. If you are considering getting remarried, then you will want to update your estate plan to be sure that your ex-spouse is long gone and that your new spouse is provided for. Birth of a Child: Life changes dramatically when a child is born and so do your priorities. All parents can agree that the wellbeing of their children is important. A proper estate plan will designate guardians to care for your children and describe what you will leave to them and how they will receive it. Tailor your plan to allow your child to have enough money to attend college, pay for their dream wedding or put a down payment on a home. You may even set restrictions within your trust allowing your child to have control over their inheritance only upon reaching a certain age. Death of A Loved One: Sometimes the individual you choose as your beneficiary or nominate as either your Healthcare Surrogate or Durable Power of Attorney will predecease you. In the event that this occurs and you don’t have anyone else named in your documents, then you will need to schedule an appointment with your estate planning attorney to make some minor adjustments. Inheritance: Inheriting a large sum of money may overwhelm those who wish to either invest it or protect it. It’s important to sit with a qualified estate planning attorney who can answer all of your questions and provide you with the best possible solution. Call the attorneys at Wild, Felice & Partners for your free consultation at (954)944-2855. You know how the old saying goes: what you don’t know can’t hurt you. When it comes to the probate process in Florida, what you don’t know might not hurt you but it certainly will hurt the loved ones you leave behind. Florida’s probate system is both a slow and expensive process that can elevate an already stressful and sensitive situation. It’s important that everyone not only understand what probate is but how the process can potentially impact the loved ones they leave behind. Probate is the legal process of proving your last will and testament in court. Unfortunately, even a small estate could take up to a full year to be administered due to a high number of cases passing through the court system. Smaller estates are those that are worth less than $75,000 and this type of administration is referred to as a Summary Administration. If your estate exceeds $75,000 then your family will have to petition the court for a Formal Administration and, in most cases, should be prepared to wait longer than a before distributions will be made. This can be financially burdensome and extremely stressful for the family. Luckily, there are ways in which you can prepare now so you family doesn’t have to deal with probate later. Owning assets jointly will allow them to pass free of probate. Either holding property as a married couple (Tenants by the Entireties) or as Joint Tenants with the Right of Survivorship will allow the property to pass immediately to the surviving owner. Beneficiary designation (such as with a life insurance policy) is another great way to avoid probate as well as a pay on death or transfer on death designation (with banking and brokerage accounts, as an example). Perhaps one of the most popular ways to avoid probate is to create a living revocable trust which will hold your assets for the named beneficiaries and pass free of probate. A trust as many additional benefits, such as choosing how and when your assets will be distributed, asset protection for the beneficiaries against unsecured creditors, the ability to keep you assets within the family for generations to come as well as planning for individuals with special needs. With so many alternatives available probate certainly does not have to be part of your future. 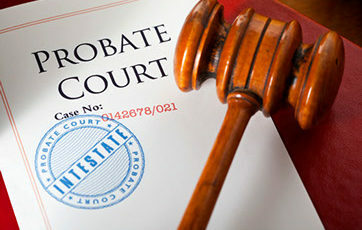 Remember, probate offers no real benefit for those family members that you leave left behind. It tends to cause a great deal of stress and frustration which is why you should consider avoiding it all together. Call the office of Wild, Felice & Partners today for your free consultation at (954) 944-2855. For more information on Probate, Estate Planning, and Asset Protection, visit our website at www.wfplaw.com. You may have heard the term “basic.” What does it mean to be basic? If you like your pumpkin spice latte in a holiday cup or really anything mainstream or popular then you may be considered basic. Being basic isn’t always a bad thing and having an estate plan in place may mean your basic too – well, not really but it should because being prepared should be more popular. Unfortunately, the idea of estate planning doesn’t create the urgency to grab your phone for a quick selfie with your attorney and post to social media – but it should! Instead of feeling all doom and gloom about the topic try to imagine the peace of mind both you and your family will feel from this positive experience. Creating an estate plan should be at the top of everyone’s priority list because what can possibly be more important than planning for the future of yourself and your loved ones? Whether your estate is large or modest, protecting it for future generations should be a priority. Estate Planning is the process of deciding during your life how your property will be handled should you become incapacitated or how the assets will be distributed after you pass away. The most popular estate planning tool for accomplishing this the Revocable Living Trust. By creating a revocable living trust to hold your assets you are preventing your family from being subjected to the stressful and lengthy process of Probate Administration. Instead, the assets will be distributed directly to the beneficiaries that you designate and according the terms of the trust that you created. You can choose a different individual to manage your child’s assets until they have reached an age of majority, or any age that you deem appropriate. The revocable living trust will also provide the beneficiaries with asset protection against any unsecured creditors they may encounter such as divorce, bankruptcy or litigation. Last Will and Testament: Nominate your Personal Representative, choose a Guardian for any minor child, and add any burial or cremation requests. Living Will: Advanced directive or “pull the plug” document. Allows your healthcare surrogate to give the doctor the “ok” to pull the plug if you are being kept alive by artificial means. Durable Power of Attorney: Nominate an individual to make financial decisions on your behalf or qualify you for public benefits, should you not be able to do so yourself. Healthcare Surrogate & HIPAA Release: Nominate an individual to access your medical records and make informed decisions on your behalf, should you not be able to do so yourself. Being “basic” is more than ok when the popular thing to do is plan for your future. Call the South Florida Law Firm of Wild, Felice & Partners today for your free consultation at (954) 944-2855. For more information on Estate Planning or Revocable Living Trusts, visit our website at www.wfplaw.com.